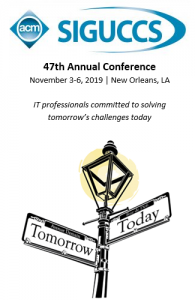 We are excited to announce our plenary speakers for the ACM SIGUCCS 2019 Conference. Learn more about our speakers. Audrey Watters is a writer and independent scholar who focuses on education technology – its politics and its pedagogical implications. Although she was two chapters into her Comparative Literature dissertation, she decided to abandon academia, and she now happily fulfills the one job recommended to her by a junior high aptitude test: freelance writer. 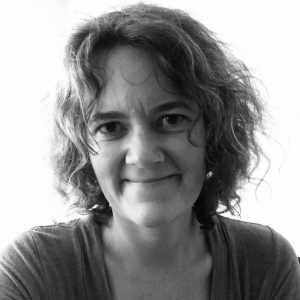 She has written for The Baffler, The Atlantic, Vice, Edutopia, Hybrid Pedagogy, Inside Higher Ed, The School Library Journal, and elsewhere across the Web, but she is best known for her work on her own website Hack Education. Audrey has given keynotes and presentations on education technology around the world and is the author of several books, including The Monsters of Education Technology, The Revenge of the Monsters of Education Technology, The Curse of the Monsters of Education Technology, The Monsters of Education Technology 4, and Claim Your Domain. She is currently at work on her next book, Teaching Machines, which will be published by MIT Press. Audrey was a recipient of the Spencer Education Journalism Fellowship at Columbia University for the 2017–2018 academic year. Jaime Casap is the Education Evangelist at Google. Jaime evangelizes the power and potential of technology and the web as enabling and supporting tools in pursuit of promoting inquiry-driven learning models. Jaime collaborates with school systems, educational organizations, and leaders focused on building innovation and iteration into our education policies and practices. He speaks on diverse topics, such as education, technology, innovation, and Generation Z, at events around the world. In addition to his role at Google, Jaime is also an author and serves on a number of boards for organizations focused on education, innovation, and equity. 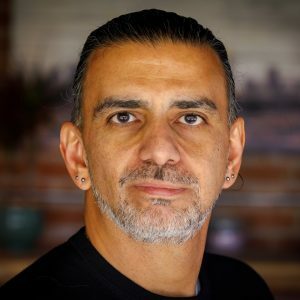 Jaime teaches a 10th-grade communication class at the Phoenix Coding Academy in Phoenix and is an adjunct professor at Arizona State University, where he teaches classes on policy, innovation, and leadership.